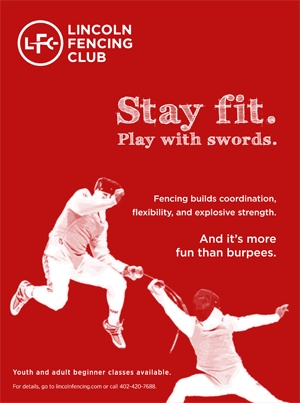 Lincoln Fencing Club’s mission is to provide a safe, family-centered, personally challenging fencing program that develops people as well as fencers. We want to thank you for continuing to support LFC with your donation! With the help of our community, we can continue to work toward our mission and to promote the sport of fencing in our area. Please use the button below to make your donation. We thank you for your continued support! If you wish to do more to support Lincoln Fencing Club, click here for further volunteer opportunities!